Take control of your bookings - you deserve it! Lega Online helps you can take care of all your reservations online. You also have the option of a separate interface where your customers can book, change and cancel. A lot of conference centers are already running and achieving amazing results. We are convinced that you will experience the same positive change, both administrative and financial. In Lega Online there are several different booking calendars tailored for your business. You get a direct overview of bookings and availability. Smart infoboxes shows detailed information without the need to open another page. Many calendars also support creating or moving bookings directly. 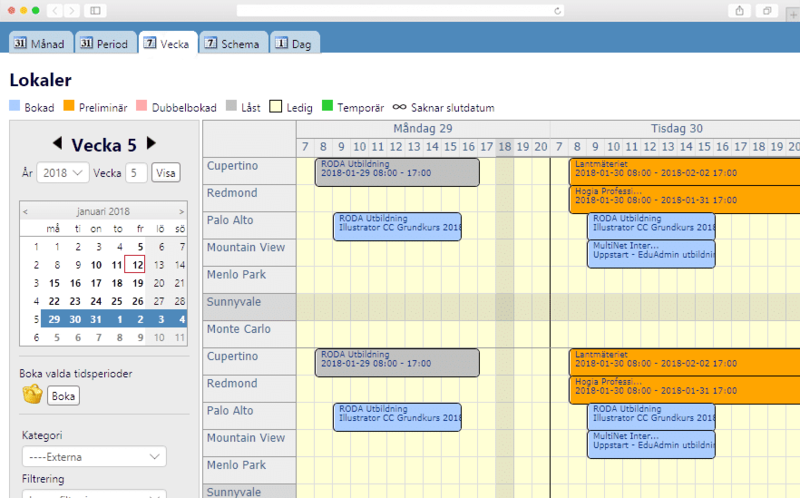 In Lega Online there is a calendar for each month, week, day or own period. Send booking confirmation to your customers with just a simple click. As attachments you can choose everything from your booking conditions and directions to dynamic documents such as rental agreement and quotations. Lega Online contains records of all your premises with the opportunity to set prices, possible furnishings and options. Lega Online is all about you; All your customers with billing address, contact person and booking history. Lega Online automatically calculates what the price of a booking will be based on the base price and length of the reservation. The calculation also takes the customer's price list or discount with. When a reservation is made in Lega Online, the invoice will be sent and will be sent. Save lots of time and effort by integrating Lega Online with your financial system. It's easy to create an automatic invoice flow, from booking until the money is in the account. 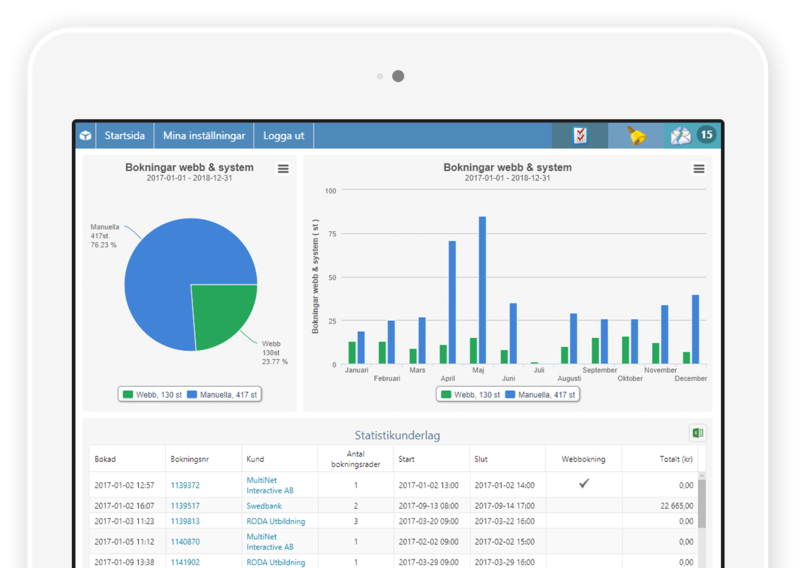 In Lega Online you can quickly create reports with, for example, consumption and special diet information for the kitchen or furnishing / technology info for the receptionist. Simple and powerful statistics for decision makers. Amounts of charts and views showing key key figures.